Modular sofa system with straight lines and minimalistic and cubistic design that can easily fit info modern interior design tasks. FREE have the dimensions 90Lx90Bx65H cm, and FREE High dimensions 130 cm in height can function as acoustic "in-room meeting rooms". 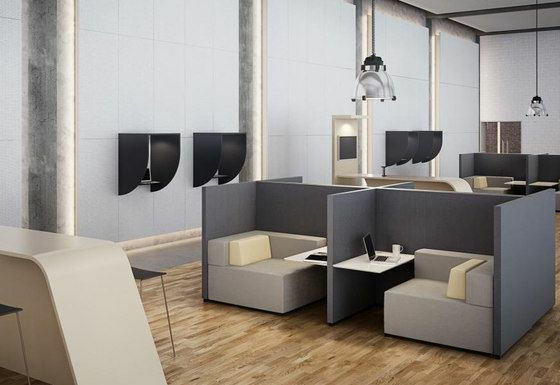 FREE High gives you many placement options: Lounge – meeting room - free standing work island - free standing project island, the options are endless. You have the choise to continuously tailor your FREE arrangement according to wish and your individual needs.